When I came across the given verses, I was pretty intrigued. I mean, it’s not a common thing to run into some sort of scripture that seems to infer that humans are gods. This was rather different, so I wanted to do some digging. I also wanted to look at what exactly this reference meant to the Jews. I actually found that the scripture that Jesus is referring to is Ps. 82:6. Upon further observation I found that this passage of scripture and Ps. 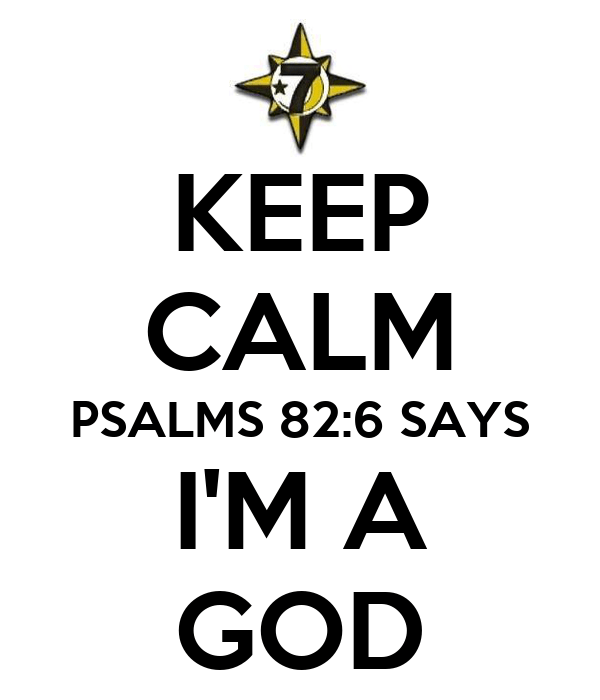 82:6 are often used by Mormons to say that we will all be gods. (http://www.mrm.org/john-10-34) Now, I’m not a Mormon so one may call me biased, but I believe this verse is using present tense verbs. Therefore, I’m not really going to follow that line of thought, but it is out there for anyone who desires to do some looking. When I kept on looking to see what Jesus reference was and what it meant to the Jews, I found that it was really quite simple. However, to start with I’m going to examine the Greek “gods” and the Hebrew “gods” used in each respective verse. 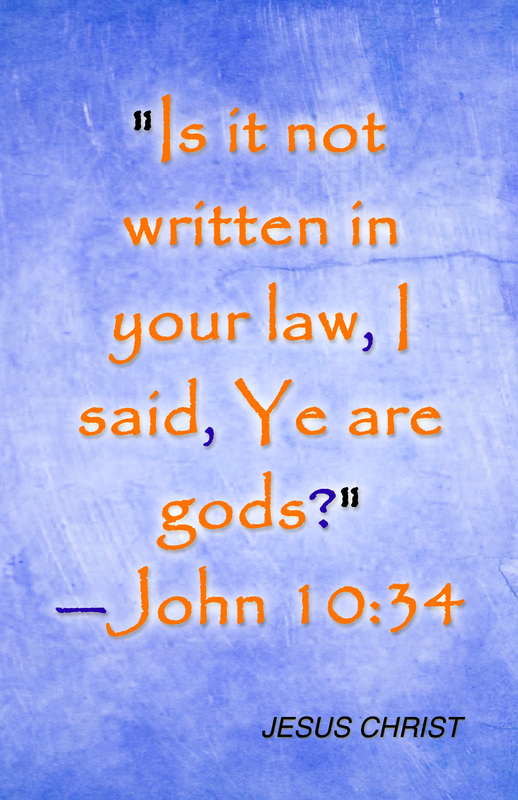 The Greek word for “gods” that Jesus is quoted using in John 10:34 is “theos”. (Strong’s G2316) Strong’s definition of that word is split up into literal and figurative meaning. The literal meaning is, “A deity, the supreme Divinity”, and the figurative meaning is, “Magistrate.” The Thayer definition is, “A god, a general name for deities; the Godhead trinity; representatives of God; magistrates and judges”. As you can see, there are several different meanings for the word “theos” used there, so in order to narrow down the choices it is expedient to look at the Hebrew word. The Hebrew word for “gods” in Psalms 82:6 is “’ĕlôhı̂ym” (Strong’s H430) which is pronounced “el-o-heem’” Strong’s here defines this word as a plural form of the word that means “deity” or “God”. Strong’s also makes it known that in some cases that this word is used in reference to “magistrates”. This is still rather ambiguous; therefore, a closer look at the context of Psalms 82:6 is needed. Psa 82:1-8 A Psalm of Asaph. God has taken his place in the divine council; in the midst of the gods he holds judgment: (2) “How long will you judge unjustly and show partiality to the wicked? 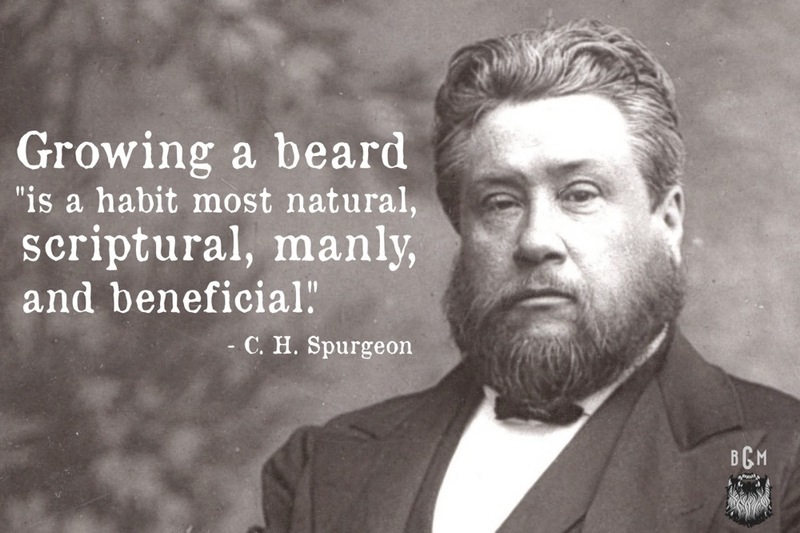 Selah. (3) Give justice to the weak and the fatherless; maintain the right of the afflicted and the destitute. (4) Rescue the weak and the needy; deliver them from the hand of the wicked.” (5) They have neither knowledge nor understanding, they walk about in darkness; all the foundations of the earth are shaken. (6) I said, “You are gods, sons of the Most High, all of you; (7) nevertheless, like men you shall die, and fall like any prince.” (8) Arise, O God, judge the earth; for you shall inherit all the nations! When looking at the chapter as a whole, I’m still thinking, “what?” I mean, God has taken his place in the midst of gods. What gods? Is the Bible being out of character here? When I started searching some sources, what I learned was that this chapter is widely regarded as a chapter referring to magistrates and judges specifically. (http://biblehub.com/psalms/82-6.htm) (http://www.gotquestions.org/you-are-gods.html) (http://www.mrm.org/john-10-34) I really liked the way that Barnes and Clarke put it in their commentaries. However, even if this chapter is using the word “gods” to refer to magistrates, doesn’t that also mean that Jesus was referring to magistrates and not gods? Or in other words, was Jesus even making a case for himself to refer to himself as the Son of God? Honestly, at first it seems to me that Jesus is being facetious and using the Pharisees lack of knowledge to make them even more foolish. This could be the case, but probably not. The fact of the matter is, the only way to understand is to observe what Jesus said while keeping in mind both what he had been saying and what he had been doing. One question that I pondered about doing my blog on was the idea of Jesus as a judge. This idea of Jesus as judge is so repetitive (yet also confusing when looking at them all together) throughout John that you can’t help but think about it when looking at Jesus’ reference. 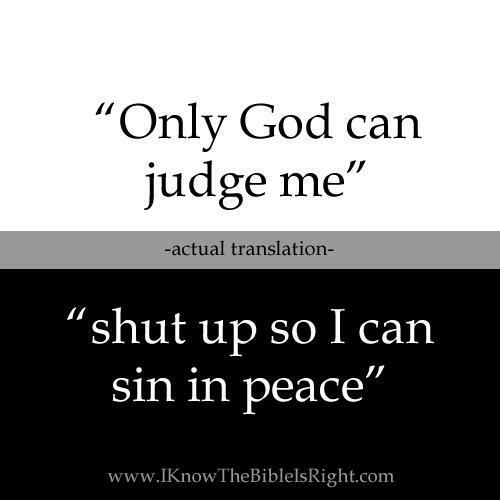 What I think that Jesus is saying is that he can call himself the son of God, he can all himself God because he is the judge. Bearing all this in mind, one can come to a few conclusions on Jesus’ quote of Psalms 82. First off, Jesus saying this was keeping with the theme of judgment because Psalms 82 is in reference to judges and magistrates. Secondly, what this quote meant to the Jews was simply that magistrates and judges were called gods. Thirdly, Jesus is saying that because he has done greater works than those Old Testament judges, they should have no problem with Jesus calling himself one with the father if God. Lastly, Jesus is once again schooling some Pharisees and Jews in the Law. I just thought this was funny…. Posted on February 9, 2015 by dgaskins08	This entry was posted in Uncategorized. Bookmark the permalink.